Beauty Under 10 | Beauty should only take 10 minutes Is your hair winter ready? 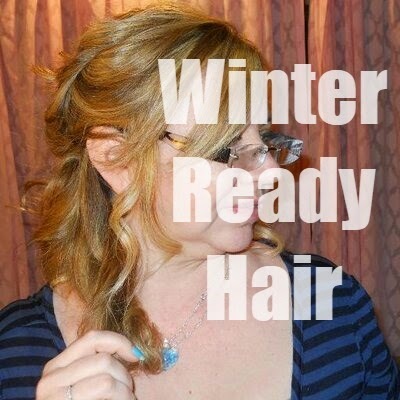 Is your hair winter ready? We know that winter is a tricky season. It can have brutal winds and chilly temperatures, which have been known to leave our skin with scales, our lips with a blue tint and our hair with a dry, brittle feel that can make us look (and feel) anything but luscious. A foolproof plan of protection will ensure our strands stay silky smooth and unaffected by the brutal effects of winter. A winter hair plan is easy, you just need to know the best to tackle the damaging effects of winter on your tresses. When it comes to protecting your locks, it’s all about what’s happening on the inside, as well as what you use on the outside. Feeding your locks with nutritious ingredients will allow your hair to effectively fight off the harsh effects of winter. Intense Repair Shampoo and Conditioners act as a dynamic duo that is able to rebuild the internal structure of your hair and restore strength, elasticity and shine. The formulation found in both products gently cleanses, moisturizes and nourishes damaged hair and provides a protective shield to guard against future damage. They say prevention is the best cure, so it pays to ensure your hair is in the best condition possible before the harsh winter chill hits. That means, caring for your hair properly with a supremely nourishing treatment that will improve the overall condition of your hair. Facing the harsh winter elements with hair that is already damaged and brittle will only result in an un-treatable kind of damage (with super split ends and all) that might mean going the chop is your only option. Get your hair in the best possible condition with a product like a Repair Treatment. This will nourish damaged hair, and helps renew and repair dry, damaged and brittle hair; returning it to tip-top shape with just twice-weekly use for 15 minutes. For the best, most-nourishing results cover your hair in a plastic wrap or shower cap while the product is in your hair. Lengthy, thorough blow outs are often a well-deserved treat during the chilly winter months, especially when it’s far too cold to let your hair air-dry. The only problem is, blow-drying really isn’t all that good for your strands. I know you’re not going to want to go around with damp locks during winter, try using Blow Dry Faster Heat Protector for its ability to reduce blow-drying time while protecting your hair from the heat of your hair dryer. Better yet, it’s improved with precious silk and nourishing wheat proteins to leave your strands soft and frizz-free. Often elements such as strong wind and heavy rain or snow can wreak havoc on your carefully styled locks. I sure know how much it takes to battle flat, limp-looking strands; so don’t let your hard work go to waste. Instead of ending up with a sky high ‘do, try a product like Mousse that can withstand even the most brutal of elements so that your hair looks full and flouncy and full of volume. Mousse has the ability to add body and fullness to even the limpest of locks. Simply apply the mousse generously to the roots of your hair with a scrunching motion before drying. What is your best tip for winter hair?